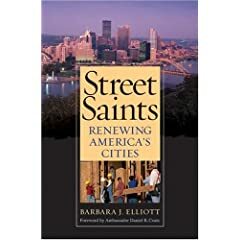 Street Saints; Renewing America’s Cities by Barbara J. Elliott is one of my all time favorite books. Elliott has captured stories from across the country that demonstrate the power of the ordinary person who seek to be a blessing to their community. My favorite chapter is the chapter titled the “Nehemiah Strategy” through which Elliott shows us the power of organizing the efforts of grassroots initiatives using the analogy of the story of Nehemiah. Below are some of my favorite quotes. As I read these words, I pray for the Nehemiah’s who are emerging in Richmond uniting God’s very broken family to live out our original call “to be a blessing to the nations” starting in our own city.